What if you no longer had to worry about employee mobility? Assignments will be increasing by + 50%up to 2020. A growing expatriation that is changing face: more business travel, more digital in processes and more switching over short periods. 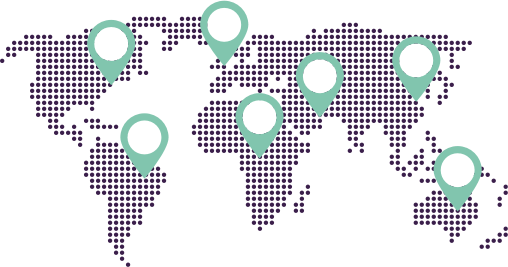 We are fully independent international mobility management specialists, providing a dedicated point of contact for human resources and Mobility Directors. We offer the support you need to handle the departure and the relocation of your assignees. We offer global, innovative and effective relocation management services. MRS works for you, managing a range of specialists for your company while staying true to your mobility policy. By simplifying your procedures, you can, on average, save between 60 and 80%. By negotiating directly with all of our service providers around the world and cutting out local middlemen, we can rationalise your costs and give you the best possible prices from around the world. Our teams are fully independent and do not make tacit deals with service providers. Instead, we identify those which can offer a high quality service at fully controlled prices. Quick Move: the app to simplify employees' mobility experience! With our app: Quick Move, employees can organize their mobility with just a few simple steps. Quick Move helps them manage their mobility, anytime and anywhere. From moving their personal effects to settling-in their new country, everything can be done in just a few clicks! Why you shoul choose MRS? MRS Management provides global support, helping you manage employee mobility. By delegating the organisation and management of your overseas operations, you’ll no longer need to worry about your organisational constraints. The process becomes easier and more efficient, helping you save both time and money. MRS will be the sole point of contact, handling your mobility projects and resolving all the day to day issues so you don’t have to. Our aim is to run a zero-fail process. Thanks to our strong support staff and proven experience on the ground, this is achievable. MRS boasts an extremely agile structure, allowing us to propose mobility scenarios and offer the best possible balance between the constraints of the company and the personalised support your employees need. MRS uses customised reporting tools to track the performance and service level of each firm. MRS Management teams are fully staffed with international mobility experts, with a highly detailed knowledge of all of the players in this niche market. Over the years, they have built up a solid global network of more than 600 qualified service providers. I appreciate the ability of MRS to adapt responsively to all situations, whether urgent or "political". Responsiveness, strong proposal and solutions in the face of complex cases, a single point of contact for managing the movements ... are the strengths of this innovative and entrepreneurial provider. This changes from the usual methods. I was able to quickly show via the app all that I wanted to make leave. In the midst of change, I really did not have time to meet movers, I really enjoyed being able to win all that time!